The 1984 Victims of Crime Act established a fund to ease the financial burden experienced by many crime victims. 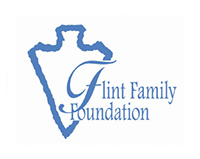 The fund is financed by fines and penalties paid by convicted federal offenders. Money is funneled to the states to assist victims directly with medical expenses, counseling, work loss, crime scene cleanup, etc. Some funds are allocated to non-profits providing direct services to victims. 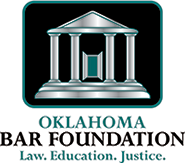 Each year, Tulsa Lawyers for Children applies to the Oklahoma District Attorneys Council -Victim Compensation Program for a grant to cover salaries associated with representing abused children. While TLC clients are in DHS custody they are not eligible for VOCA funds. However, they are eligible once their case closes. Please keep this in mind since so many of our clients need continuing counseling. Your client may be eligible for funds to cover unreimbursed expenses if related to a crime which led to the filing of the deprived petition. Additional information about VOCA and the Oklahoma Crime Victims Compensation is available on our website here under the Resources tab. What the heck is… ?